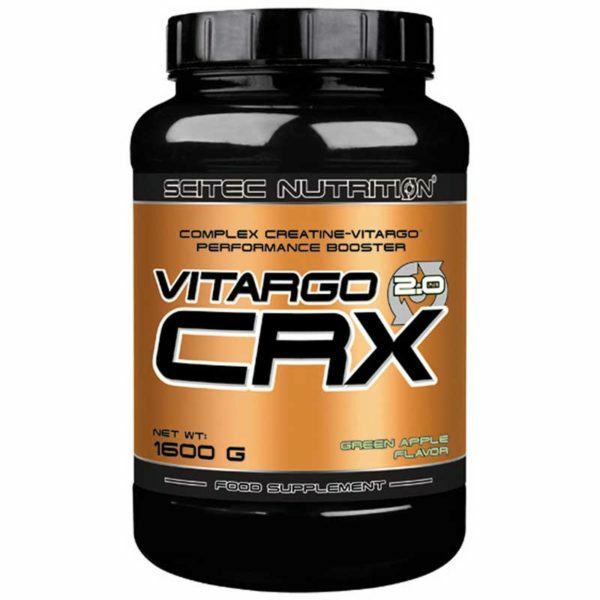 Vitargo CRX 2.0 is an updated version, containing carbohydrates plus creatine. The carbohydrate from the branded Vitargo® is a patented, high molecular weight carbohydrate. 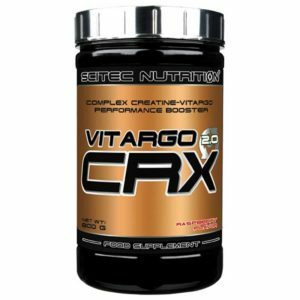 This formula provides many useful ingredients for athletes: 8550 mg CRX proprietary blend and 5000 mg proprietary Crea-Bomb multi-component creatine matrix, per serving. 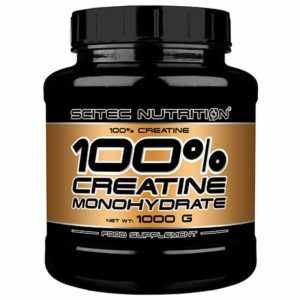 Creatine in a minimum of 3 g daily dose is scientifically proven to increase performance in successive burst of short-term, high intensity exercise like weight training and interval cardio. Size: 1600 g = approx. 40 servings. Mix once a day 1 serving of 40 g in 400 ml water. Vitargo® (patented, high molecular weight carbohydrate from barley starch), creatine monohydrate, microntec micronized creatine monohydrate, creatine citrate, creatine pyruvate, creatine phosphate, L-arginine HCl, L-glutamine, flavoring (apple), acidifier (citric acid anhydrous), taurine, artificial sweeteners (sucralose, acesulfame K), micronized L-glutamine, L-malic acid, fumaric acid, L-alanine, alpha-ketoglutarate calcium, coloring (brilliant green BS, riboflavin), trigonella foenum-graecum seed 20% extract, folic acid, pyridoxine HCl.